Kohli is among the 179 ONGC elite sportspersons who have been asked to prominently display the ONGC logo — an important clause of the sports policy — on their clothing and talk about the oil PSU during their public appearances, whenever it is permissible. 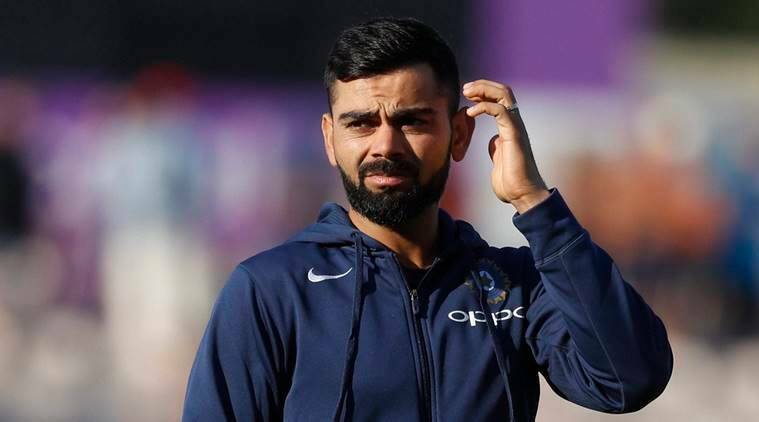 INDIA’S BIGGEST brand endorser Virat Kohli will now have to aggressively promote his long-time employer ONGC, as the company has decided to strictly implement its sports policy. Kohli is among the 179 ONGC elite sportspersons who have been asked to prominently display the ONGC logo — an important clause of the sports policy — on their clothing and talk about the oil PSU during their public appearances, whenever it is permissible. It is learnt that the top ONGC management, at a recent meeting with their sportspersons, emphasised the company’s brand promotion push and reminded them of their contractual obligation to give priority to official functions. This was done after it was noticed that ONGC athletes rarely sported the company’s logo and preferred private sponsors’ events over official functions. Kohli’s colleagues at ONGC include cricketers Ishant Sharma, Gautam Gambhir, Praveen Kumar, Munaf Patel, along with Hima Das (athletics), M R Poovamma (athletics), Pankaj Advani (cue sports), Heena Siddhu (shooting) and Ashwini Ponappa (badminton). ONGC Group GM (HR) Manoj Bhartwal said that despite their employees achieving so many international laurels, brand ONGC was not benefiting. “Virat Kohli is our employee, so is Ishant Sharma. We have many sportspersons who won medals at the Asian Games but our brand doesn’t get promoted. If they are playing for the country, then the country has to be first, but ONGC is doing so much for them. So, whenever they get a chance, like when they give TV bites or give interviews they should talk about ONGC. We held a few meetings with the players in this regard and sensitised them about this issue,” Bhartwal told The Sunday Express. Thirty-eight ONGC sportspersons were part of the Indian contingent for the Jakarta Asian Games — 10 of them got medals. Bhartwal said when players are representing India or their respective states, ONGC has no problem if they don’t talk about the company. But at other times, they should promote ONGC too. “Whenever there is an event which is not mandatory, players can talk about ONGC. After all we have been promoting sports a lot, we have given over 150 scholarships till date. Even Virat, when he was very young, came under our scholarship scheme and then they became a regular,” said Bhartwal. “If any player is travelling, especially the branded players, like we have kabaddi players who travel, then they should wear ONGC T-shirt. This spreads the company’s goodwill. The idea is that along with the country, the company’s name too should be promoted,” he said.